The Gulf of Mexico is a hidden gem of Florida. Despite rumors of poor visibility, The Gulf offers some of the most-diverse wildlife without having to drift by. Take some time to discover its true beauty on our 2-tank Gulf Dive. December is a great time of year to see the Gulf. The colder temperatures clear the water, improving the visibility and introducing wildlife that you don’t often see during the summer. This is a great time to see nudibranchs, spotted drum, sea hares, stone crabs, damsel fish, jacks, French angelfish, mackerel, bat fish and more! We only have 8 slots so, please reserve your spot ASAP by contacting us at info@adventuretampa.com or calling us at 813-832-6669. Adventure Outfitters is taking over the CAN-TANK-EROUS! Voted number one in the Tampa Bay area by TripAdvisor, Tanks-A-Lot will be our charter for our Gulf dive on the CAN-TANK-EROUS, a diesel-powered, United States Coastguard-certified vessel. The vessel includes safety gear, oxygen, and electronics with a fresh water shower for your comfort and convenience. Camera equipment in encouraged, as this is the perfect time and trip to take out your camera on! Fresh water buckets will be provided for cameras and lights. This vessel allows lionfish hunting with pole spears only. The Gulf is in the upper 60s, lower 70s, please plan accordingly. We do rent BCDs, Regulators/Computers, wetsuits and other thermal protection. Comfort depends on the diver. If you have any questions or need to rent a warmer, protective suit, please reach out to us at 813-832-6669 or info@adventuretampa.com. 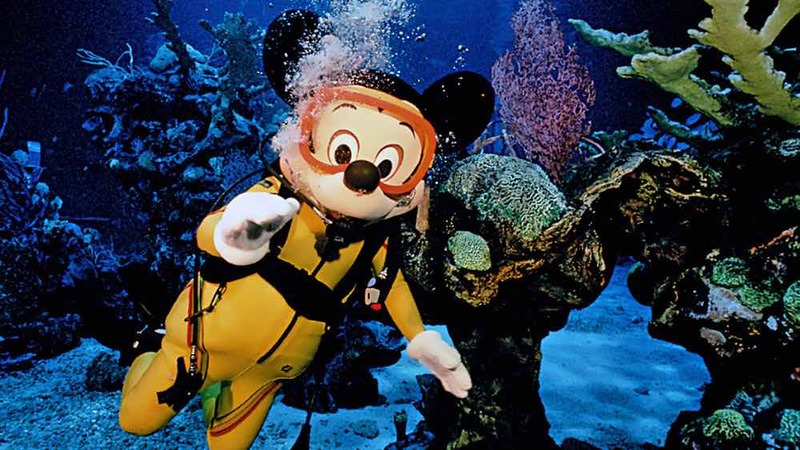 Pair this trip with a course including Fish ID or Nitrox! 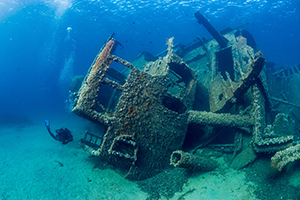 Cost: $100, includes charter fee, two tanks and a Divemaster-led tour. Boat diving is a great way to get ready for a trip, brush up your skills or enjoy unique wildlife! 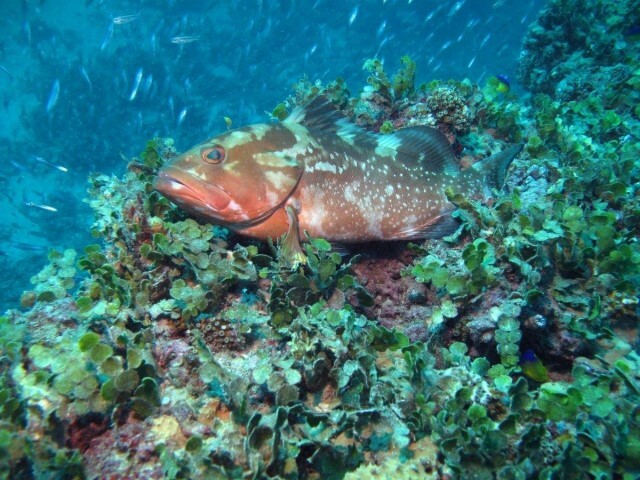 In the Gulf, we have seen a variety of animals, fish and shellfish. 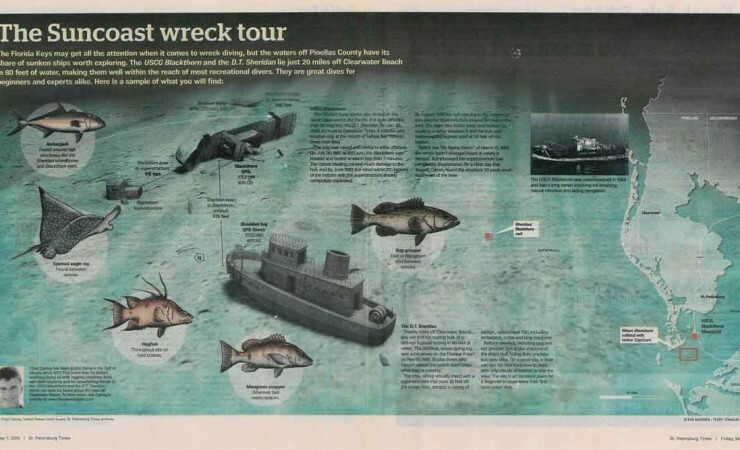 Ask about pairing this trip with a course including Fish ID, Advanced and more! 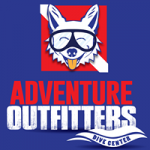 Adventure Outfitters is a PADI 5-Star Dive Center and family-run business which prides itself on quality private and small class sizes with personalized courses. We spend as much time as it takes to ensure that you not only master each skill but become a confident and informed diver, ready for today’s high-tech dive scene. By teaching only private, semi-prive and small groups, we go by your busy shcedule and give you not only the training but the experience as well to be a safe and successful diver.